A year ago, Japanese studio Gonzo was on the verge of financial collapse and tried to dig themselves out by experimenting with a new idea for the US market. They introduced the simulcast, a free, legal, fully-subtitled copy of their Spring 2008 series Drauga and Blassreiter. They would make each episode available on video streaming sites like Crunchyroll and Youtube within hours of it being broadcast on Japanese TV. This was done in an effort to combat the piracy of new shows being released in Japan. Anime fans – especially those in America – had become too accustomed to the quick and easy fansubbing distribution system that came thanks to the availability of broadband internet access. By the audience using a method that was uncharted and not monetized, the industry on both sides of the Pacific began seeing a huge drop in sales as fans were less inclined to purchase DVDs. The ad-supported simulcast strategy that Gonzo was experimenting with provided a monetized alternative to illegal fansubbing. 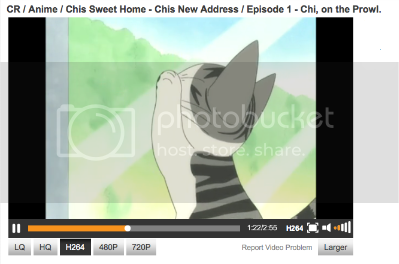 By having a team work on subtitling an anime episode prior to its Japanese TV broadcast, the company was able to have their own version available to the audience before any pirated version could be released onto the web. True, it didn’t fully stop piracy dead in its tracks, nothing will ever stop piracy. But the amount of lost revenue that Gonzo had now regained thanks to the simulcast encouraged them to continue with the experiment. They released the Summer 2008 series Strike Witches as a simulcast, and continue to do so with every one of their series up until this season’s Shangri-La and Saki. As much as I was happy in the success of the experiment, I was highly critical of Gonzo’s choice to go with Crunchyroll. The video streaming website demonstrated a lax policy and attitude towards licensed material and copyright infringement. The moderators of the website refused to take down illegal material unless explicitly receiving a cease-and-desist letter telling them to do so. I was disgusted the first time I logged into Crunchyroll to see them proudly promote the illegal streaming of licensed series from VIZ Media and all of the Disney released Miyazaki films. Clearly there was something shady going on with these people, and I had advised members of the Japanese industry to stay away from the service while they continue to demonstrate this disrespect and indifference to copyrighted material. Crunchyroll kept with this policy through out the rest of the year, and they changed after they signed a deal with TV Tokyo to begin simulcasting Naruto the first week of January. Because Naruto was the most fansubbed series of all time – and because Crunchyroll was willing to give up their shady practices and go 100% legit for this type of content – this deal was going to be the spark that ignited the mass industry shift to digital distribution. The anime industry and the way that American fans watched their favorite shows was going to be completely different within months of this new development. I had laid out this idea in my predictions post for 2009, I suggested that for the summer 2009 anime broadcast season, there would be at least a dozen simulcasts available. That would mean that there would be a wide selection of legally available alternatives to the new fansubs that would illegally appear during that time. I was expecting a linear progression of studios turning toward digital distribution. Four series in winter, eight series in spring, and a dozen in the summer. At that rate, we wouldn’t necessarily see 100% legal availability of anime by the time 2010 rolls around, but more series than not would be on board with this idea. But the spring 2009 season had proven my prediction to be wrong, but not necessarily in a bad way. As of the time of this writing, Crunchyroll lists twelve different series being legally simulcast with a new episode every week. On top of that, FUNimation Entertainment is simulcasting two additional series every week fresh out of Japan. That’s fourteen series in total. We didn’t reach the dozen milestone in summer, we reached it already in spring! There’s no linear progression here, it’s exponential. It would appear that almost every other day in the month of April, I have received a new press release from Crunchyroll informing me of a new partnership between them and a different Japanese studio. Can you feel it, my dear readers? It’s all happening right before your eyes. The flood gates have opened, and the waters of the digital revolution are pouring right in. But now that the revolution is in full swing, we’re starting to come across some issues that were inconceivable a few months ago. Gordon Schmidt sent me a Twitter last week saying, “I’m a little worried that almost the whole free legal streamed anime movement sits on the questionable crunchyroll shoulders.” And he’s right. With so many companies now turning towards Crunchyroll, are they becoming the monopoly in the digital revolution? And if they are the monopoly, can we really trust the douche-bags who used to so blatantly ignore copyright? The only company that could potentially serve as Crunchyroll’s competitor would be FUNimation. 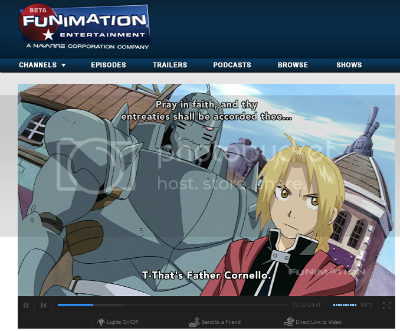 One of the longest running anime DVD companies in America, FUNimation emerged as the market leader when its top mainstream titles kept the company away from the effects of the fansub monster last year. As of last summer, they made up a third of the entire American market. But instead of simply sitting pretty on their huge mountain of cash, they used this disposable income to make a difference and shake up the current industry. The first step was to make it their policy that they would not license any new anime property unless the hesitant Japanese companies allow them to digitally distribute every new show. If you wanted to do business with the top anime company in America, you had to be open to the idea of the internet. After finding success in the “download-to-own” model of digital distribution, FUNimation entered the simulcast game last September when they showed Shikabane Hime over their Hulu channel. The company remained low during the winter season to build their own video streaming portal. They then made a huge splash when they announced the simulcast of the brand-new Fullmetal Alchemist series at the start of the spring season. Just last week, the company surprised everyone again by announcing a second simulcast for the spring season, Phantom. Unlike all of FUNi’s past announcements, Phantom was only going to be released streaming online with no intentions for an American DVD as of yet. This announcement came just after FUNimation had released a survey that asked its fans to rate new shows only available via fansubbing. But despite this seemingly pro-fansubbing procedure, a FUNimation representative on Twitter had chastised a fan later in the week for downloading their shows illegally, and made the controversial claim that the act of fansubbing was losing money for the industry. FUNimation can do no wrong. Without a doubt, FUNimation will be releasing the new Fullmetal Alchemist series on DVD. It’s almost guaranteed to be a success and they are probably about to start dubbing the show right now. But they have made no commitments on releasing Phantom on DVD. For now, it’s just going to be available for free online. But if they notice that the show is gaining a reasonable fanbase, then they will be more willing to put in the production costs of making a domestic DVD release. Now that FUNimation has set a clear policy of “we’re not going to guarantee a DVD release just because of a simulcast” to their business practice, you can bet that they will be establishing more deals with their Japanese partners for the upcoming summer season. They will soon be on an equal playing field to Crunchyroll, thus providing a much need competitor to a currently monopolized market. To FUNimation’s advantage, they have the experience and resources in the old model of anime DVD distribution. Crunchyroll cannot provide the Japanese with future DVD sales. However, FUNimation’s video portal is in pretty bad shape compared to its competition. Many users have reported slow service, which continues to persists despite the company’s claim to be fixing it. Crunchyroll, on the other hand, currently has a stable infrastructure intact that is able to handle the massive amounts of new content and new traffic coming in this season. But even that came after a few months of growing pains themselves when they started the Naruto simulcast at the start of the year. So that’s why I’m sure that the FUNimation’s video service will come up to snuff in time for the upcoming summer season. With the combined services of both Crunchyroll and FUNimation, forget seeing a dozen simulcasts this summer! At this rate, we might damn well near 30! 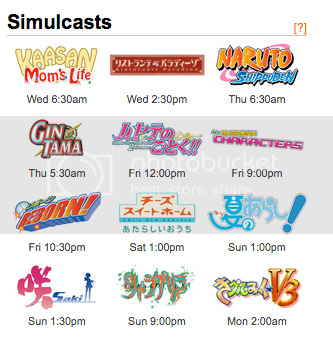 In the history of the American anime industry, Spring 2009 will go down as the season of the simulcast. It is the time when everyone really got on board with this idea and very openly embraced the new technology that was pioneered by piracy. Hell, the whole concept got so big that it spilled into the manga industry and saw the first ever manga simulcast with Rumiko Takahashi’s Rin-ne last week. This entry was posted on Wednesday, April 29th, 2009 at 2:17 pm by Scott	.